Even before the devastating earthquake of January 2010, which focused world attention on the plight of the country, Haiti was already the poorest country in the Western hemisphere. 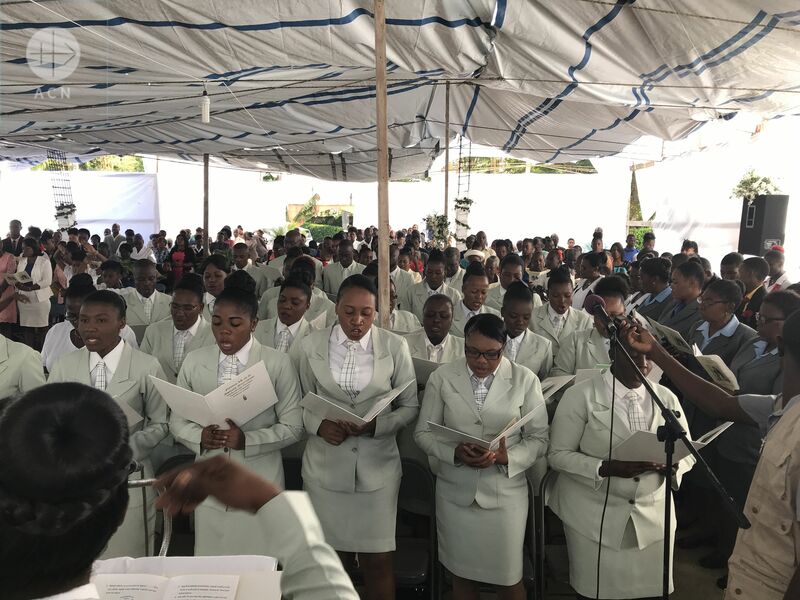 Natural disasters, violence and political unrest, poverty and hunger all played their part, so that it has sometimes seemed that the Haitian people were spared almost nothing in the way of suffering. However, they are incredibly resilient. The majority of Haiti‘s population consist of the descendants of former African slaves. Today, almost 7 million of the country‘s 8.6 million or so inhabitants are Catholics – though syncretistic and pagan rituals and especially the voodoo cult are still very widespread among the population. However, the Church is working very hard to instill an authentic Catholic faith in people‘s hearts. And there are many very lively parishes in which the faithful live their faith with great devotion and deep piety. One such parish is the parish of Our Lady of the Miraculous Medal in the “Village Créole”, a new suburb in the town of Hinche in the east of the country, on the border with the Dominican Republic. This suburb has grown rapidly over the past 25 years and now has a population of around 70,000 Catholics! And yet until now it does not have a parish church of its own, and Holy Mass is celebrated in temporary accommodation. Clearly this is not an acceptable situation, and in any case there is not enough space for the congregation. 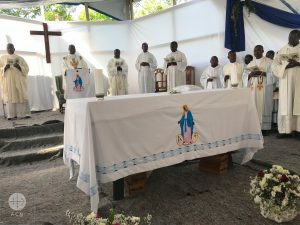 Haiti: Construction of the parish church of Notre Dame de la Médaille Miraculeuse, Village Créole (Photos: Patronal feast celebration mass on 27th November 2017). The Catholic faithful are poor, yet they have made great sacrifices in order to be able to purchase a plot of land on which to build a church. Of course they have nowhere near enough to pay for its construction. And so ACN is helping with a contribution of$105,000.